There are two Big Easy models from Char-Broil (though there have been some custom models, such as one for Miller Lite beer). I have several of the older model Big Easy (referred to as the Big Easy Oil-less Turkey Fryer). The new model (referred to as the Big Easy Smoker, Roaster & Grill) is the same except that it also has an upper grilling surface and a box for wood chips to add smoke flavor. Below you’ll find some of the add-ons available for the Big Easy. The Big Easy itself comes with a single large basket that is adequate for roasting a medium sized turkey or large chicken, but you’ll soon find yourself in need of other tools to help you cook more than just full birds. I have and use most of the items listed. For a full list of all of my Char-Broil Big Easy recipes, click here. I also have a free eCookbook that is chock full of recipes for the Big Easy. I update it frequently. You can always get the latest edition here. The Big Easy Bunk Bed Basket. An absolute must-have. Doubles the amount of cooking area. Perfect for wings, chicken breasts and large vegetables. You can stack two of them into the Big Easy, giving you 3 levels of cooking at once. Cooking with the Big Easy Cookbook. The real deal from the folks at Char-Broil. Over 40 recipes for the Big Easy. Everything from turkey to sides. 22-Piece Turkey Fryer Accessory Kit. Another must-have. This set includes just about everything you’ll ever need. Rib Hooks. A must-have if you’re going to cook ribs. Just cut a slit in between the last two ribs, insert a hook, and hang. Hanging kabob holders. Easy on, easy off. Wireless thermometer. A nice-to-have for larger pieces of meat such as when you make pulled pork. Stackable Oven. Perfect for cooking small pizzas or cornbread, even pies. You can stack up to 3, but it can be challenging to get them to fit together. Folding Chicken Roaster. Perfect for making beer can chicken, though not designed specifically for the Big Easy. Do not use this holder directly in your Big Easy. Place it inside a basket. Makes for the best beer can chicken you’ve ever had. Bottom-up kabob holders. Great because skewered items cannot slide off. Cover for the roaster version of the Big Easy. If you keep your Big Easy outside, you have to get a cover for it. 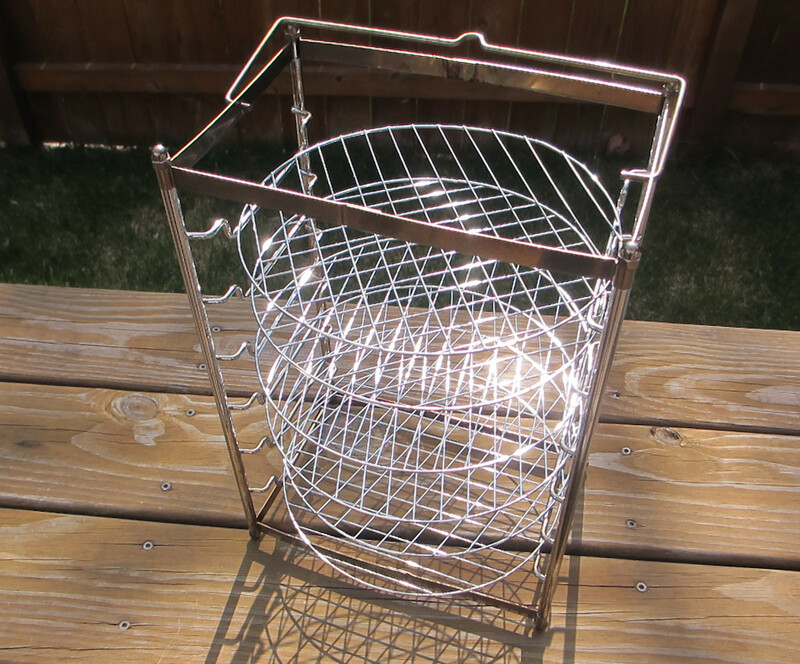 Cover for the turkey fryer version of the Big Easy (I have 3 of them so far). A must have for any Big Easy kept outdoors. Better Basket. New from Char-Broil and really great for large poultry, hams, you name it. Folds down and stores easily. Check out my write-up on the basket here. Char-Broil came out with a cooking rack that gives you up to 6 levels of cooking in the Big Easy. 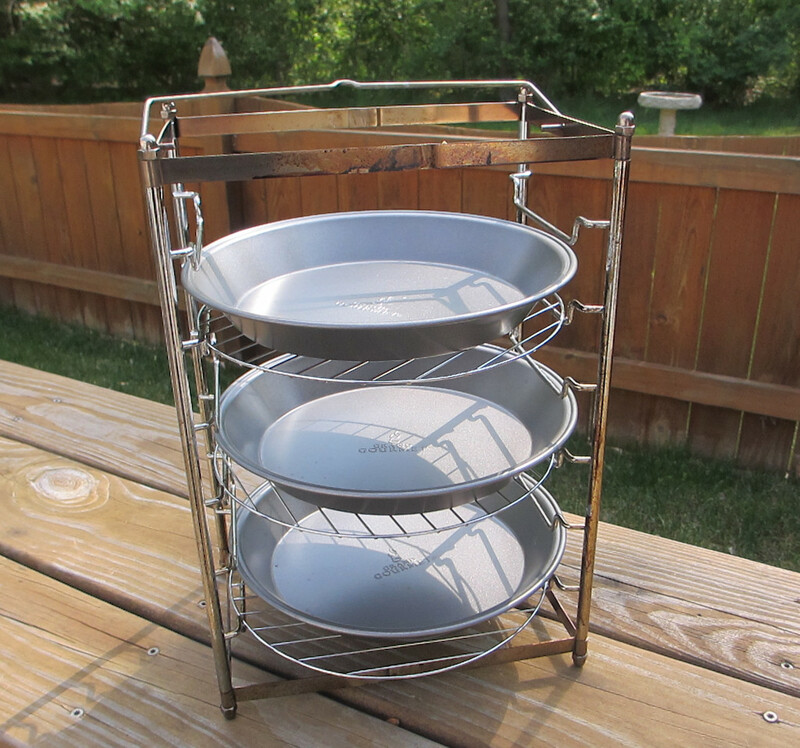 Check out my write-up on the rack and how to make it even better by adding pie pans!